The journal is published twice a year. "Mathematical Modeling and Computing" is included in the list of professional editions of Ukraine in the following fields: physics and mathematics sciences, technical sciences. "Mathematical Modeling and Computing" is included in Index Copernicus Journals Master List (ICV 2015: 59.27, ICV 2016: 72.65, ICV 2017: 95.8). 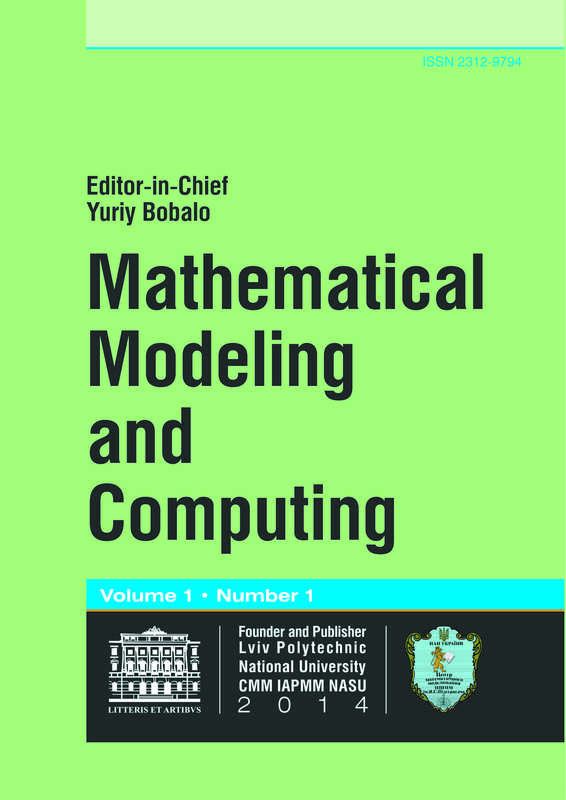 "Mathematical Modeling and Computing" is included in Scopus (from 2018). "Mathematical Modeling and Computing" (or "MMC", or "Math. Model. Comput.") was founded in 2014. And its first issue was published in October of 2014. Founders of the MMC were Lviv Polytechnic National University and Center of Mathematical Modelling of IAPMM. numerical methods and software for problems of mathematical mode­ling.